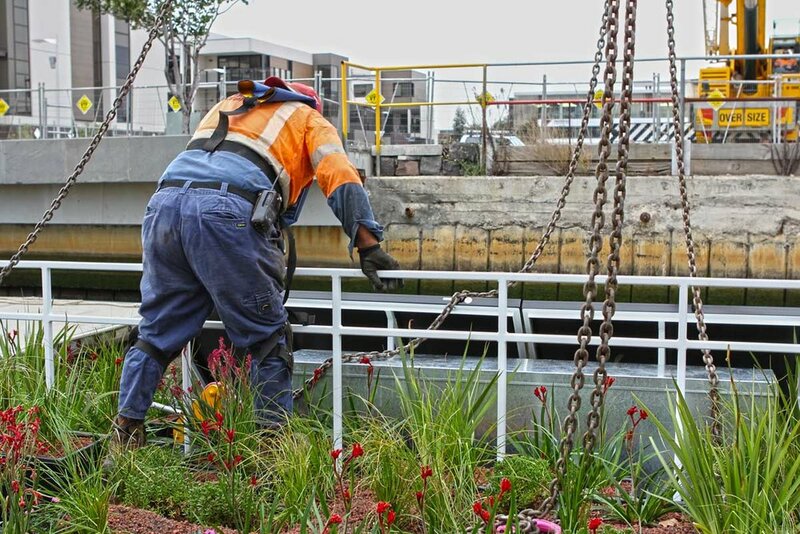 Working for Mirvac, These Are The Projects We Do Together designed, built and installed a mobile floating garden. The floating garden is constructed as a barge and is moored in the Docklands at the mouth of Melbourne's Yarra River. 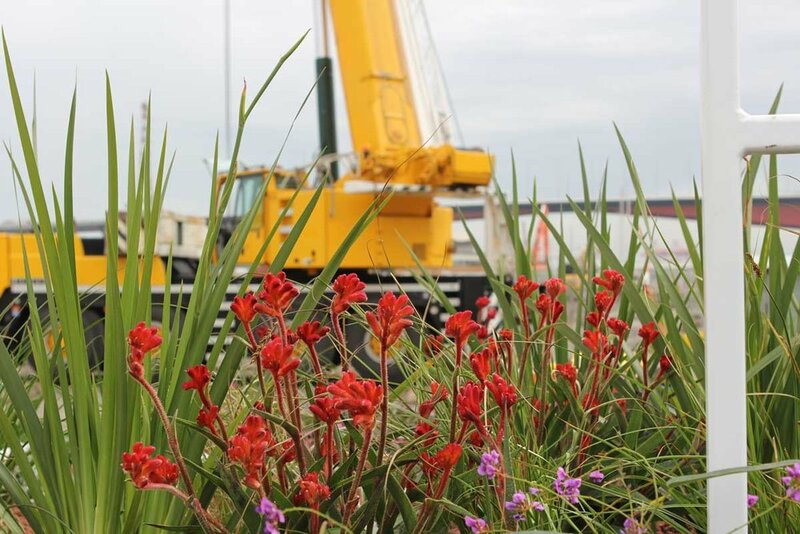 The floating garden was partially funded through the Docklands Public Art Contribution and is associated with 'Wharf's Entrance', a new development area within Yarra's Edge.